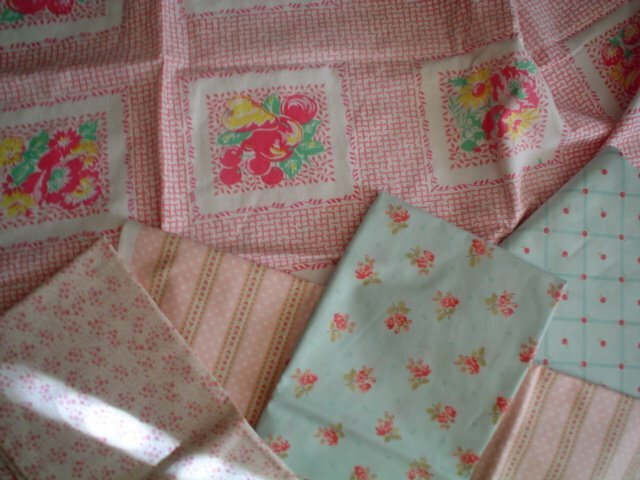 All have been laundered, some of the fabric has been sold on ebay, and I am slowly working my way through the linens. 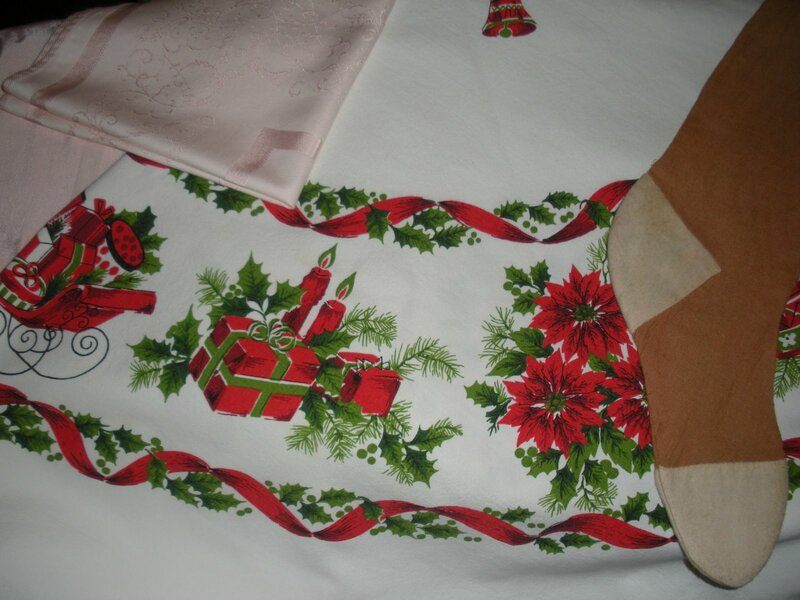 There were some beautiful embroidered pieces that look like new. My favorite is that green tea towel with the bleeding heart design. 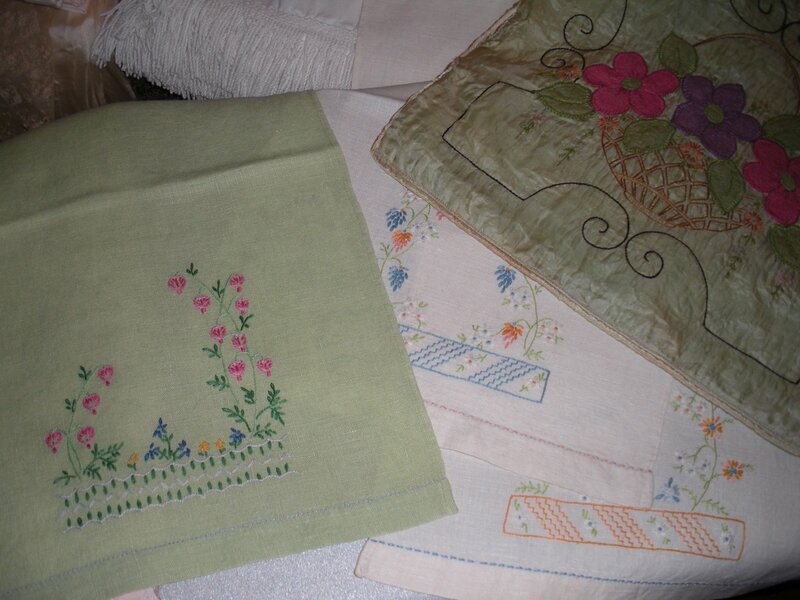 That piece at the right is a silk pillow cover with wool applique. GORGEOUS. 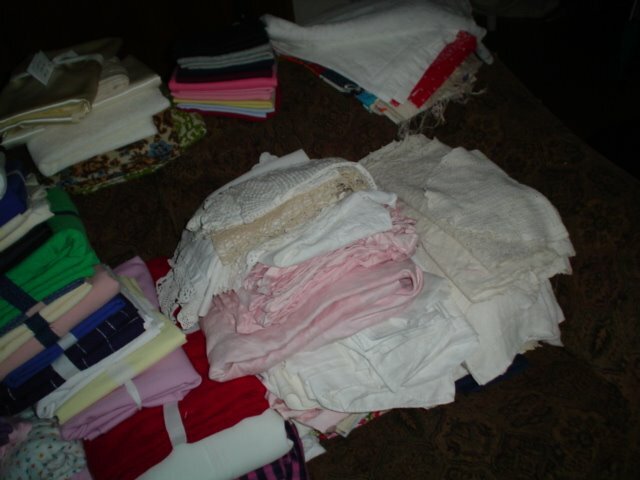 There were napkins, tablecloths, tea towels, baby clothes, Christmas linens, a stocking, a wedding dress, chenille bedspreads…you name it. and USP #19 was born! 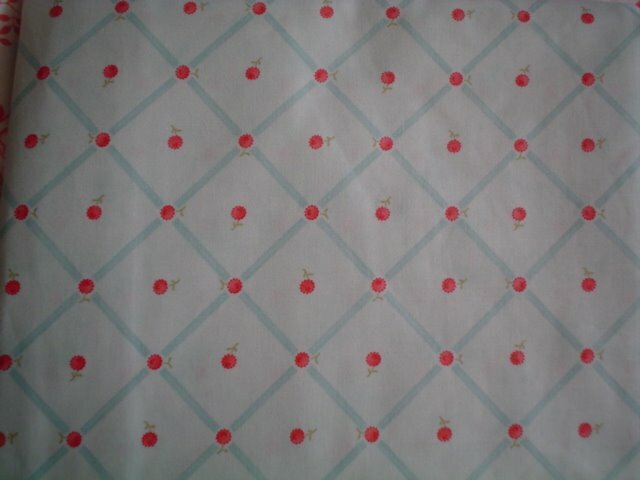 I’m going to fussy cut the fruit and flower blocks out (the holes are on the check part of the tablecloth) and make a quilt out of it. Not sure what it’s purpose will be or who will become it’s owner…but this was too good to pass up. 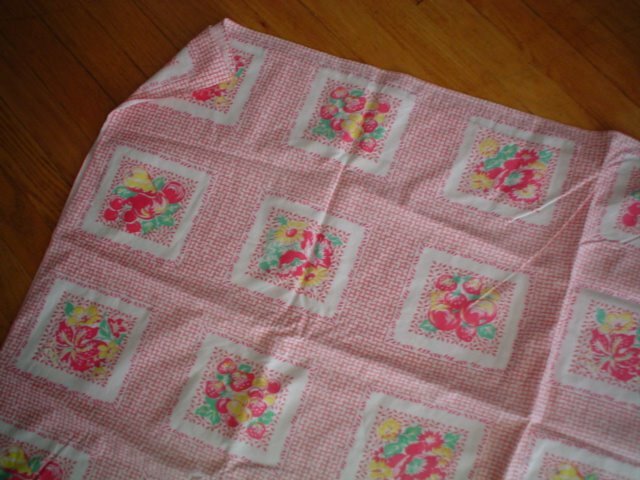 i’ve got 2 quilts I’m working on from tablecloths…there are some beautiful linens out there with a few spots or tears that will make something beautiful…this is quite a find…can’t wait to see it all made up!